No other term is as misleading as “compensated temperature range”. 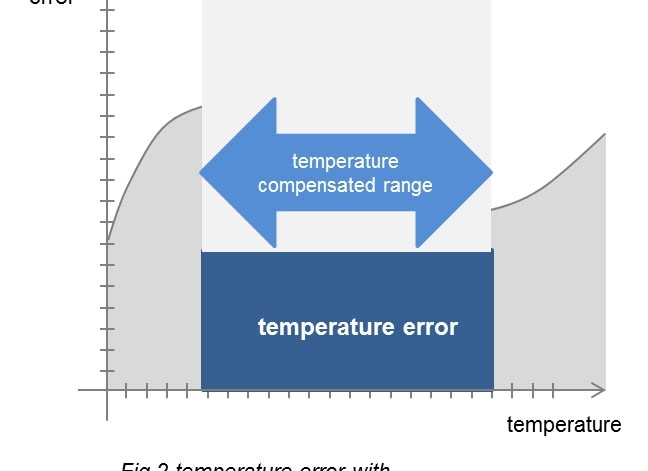 Let´s first begin with what is meant: The compensated temperature range is the temperature range in which the temperature error, and accordingly the temperature coefficients, are valid. Not, as one might think and what is often being used, the range in which there is no temperature error. No, there are also errors in the compensated temperature range. This might perhaps surprise the user, but as a manufacturer we can assure you that we have already made quite some effort to bring these errors under control. This immediately becomes evident when the instrument/pressure sensor is operated outside of the compensated temperature range. Here the prevailing errors are generally much bigger. Not least because of this, the term compensated temperature range no longer appears in the world of standards these days. Today, the correct designation is “rated temperature” (more about this can be found in the blog article “Compensated temperature range, rated temperature range and nominal temperature range”, coming soon). It remains to be seen whether the designation rated temperature is so much better. Of course, there are also instruments that have no additional error in the compensated temperature range. This is why they are also known as actively compensated.